Knee orthosis with monocentric articulation. 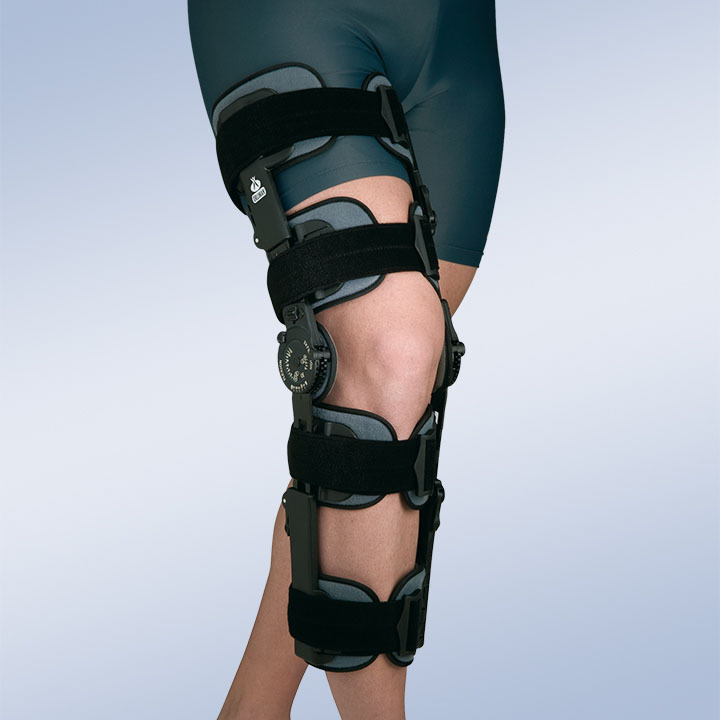 Knee orthosis with monocentric articulation. –10º to + 30º locking system. 0º to 120º flexion control in intervals of 10º and –10º to +30º extension control in intervals of 10º. It has 2 femoral straps (thigh) and 2 tibia straps (calf), Ref. : 94261 has 2 wide strips which cover practically all the knee. Indications: unstable or lesioned knees, post-operation and post-traumatic rehabilitation, for relative immobilisation of the articulation in situations which require perfect control, when we are interested in controlling the mobility of the post-operation knee (cruciate ligament surgery).